Carved Hot Pressing Aluminium Honeycomb Panel for Train Floor is a hot press processed aluminium honeycomb panel with the surface mill finished. Then according to customer's drawing, the CNC carving machine makes the holes of various shapes on the panel for customer's further processing. 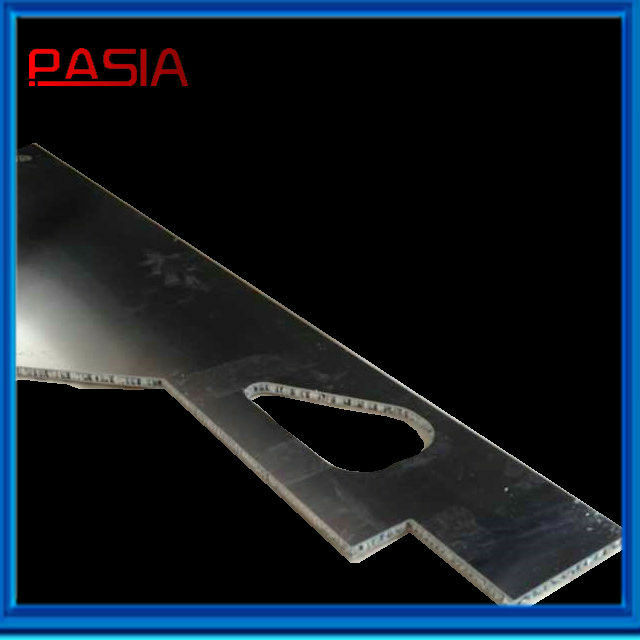 Generally, the thickness of the panel is about 10 mm with two 1 mm thick surface plates. But the glue should be special purpose glue so that it can make sure the panel peer-off strength 30-50% higher than regular vacuum pressed panels. After that, the finished product can meet the railway products' strict requirements. 1. Sound insulation, heat insulation and thermal insulation: As the two layers of the surface was insulated by the honeycomb core so that the sound wave and heat was restricted accordingly. Therefore, the material possesses the properties of sound and heat insulation. 2. 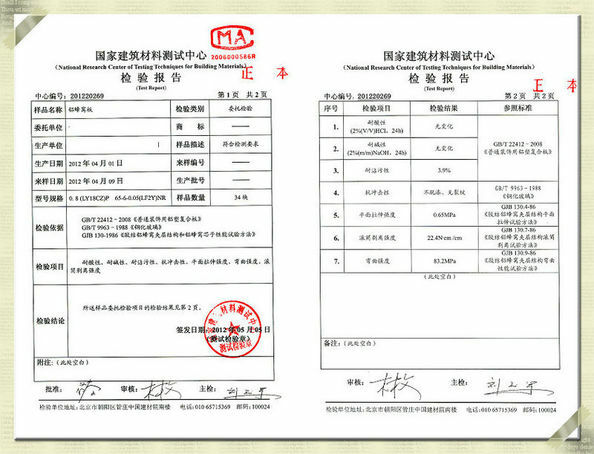 Fire-proof: Inspected and identified by the National Fire-proof Building Materials Quality Supervision and Inspection Center, the performance of the material are in line with the provisions of the flame retardant materials’ requirements. 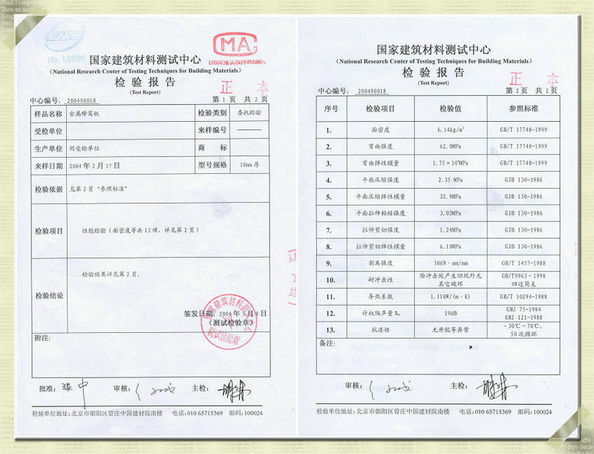 In accordance with GB8624-2012 standard, the material combustion performance is equal to GB8624-B1 level or higher. 3. Superior flatness and rigidity: Aluminum honeycomb panels consist of a number of dense honeycombs that contain each other but as many small I-beams which can disperse the pressure from the panel, allowing the panel to be evenly stressed. Meanwhile using high-strength polyurethane, it ensures the strength and maintains the larger area panel a high level flatness. 4. Moisture and corrosion resistance and excellent anti-weathering performance: the surface can be pre-roller coated with anti-oxidation and acid corrosion resistant PVDF with long term color maintenance. Furthermore, in the wet environment, mildew, deformation and other conditions are prevented. 5. Light weight, energy saving: the weight of the material is only 1/70 of the same area brick, only one-third of stainless steel. 6. Environmental protection: the material will not distribute any substances harmful to human body. It is easy to be cleaned and recyclable. 7. Easy Installation: the aluminum honeycomb panel has its supporting aluminum alloy keel based on which, it is easy for installation, can save time and labor; can repeat dismantling and migration.